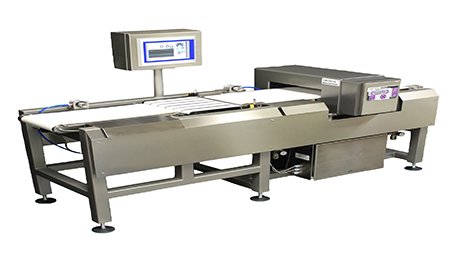 The LCE-HRCSMDC Checkweigher/Metal Detector is a new combo system that also has more than 20 years of scaling and labeling design experience incorporated into it. With a unique, simple, design concept, it has features that truly set it apart from the competition. Two of these features include an open architecture "Hot Swap" that has the capability of a PC-based system controller and repeatability of the weight accuracy.